to over 400 anesthesiologists nationwide. We collect the extra revenue that other billing providers don’t. The team at Fusion Anesthesia has been serving only anesthesiologists for over 40 years. We’re intimately familiar with every anesthesiology billing situation and the relevant payer quirks. 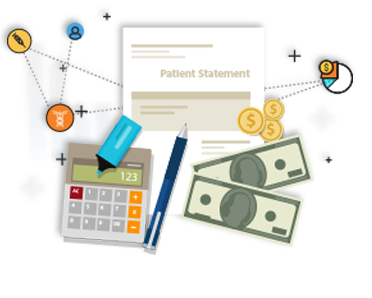 Fusion Anesthesia’s systems are a hybrid of off-the-shelf billing systems and custom-developed reconciliation and reporting software… coupled with good old-fashioned human experience, persistence, and service. You want a team small enough to know your name and value your business but big enough to invest in the technology you need. That’s us. Our mission is to collect as much of every dollar that you’re owed as we reasonably can. That’s 5-15% more than our competitors typically can. What would 15% more income mean for you? FIND OUT HOW WE CAN INCREASE YOUR REVENUE BY 5-15%. We’ll happily provide you with a comparative audit of your last six months clearly showing what your current company billed and collected versus what should have been billed and collected. It doesn’t take a lot of your time and most customers are able to immediately increase their annual revenue by 5-15%. Get a no-obligation 6-month report.